Contrary to prevailing opinion, the roots of modern science were planted in the ancient and medieval worlds long before the Scientific Revolution of the seventeenth century. Indeed, that revolution would have been inconceivable without the cumulative antecedent efforts of three great civilizations: Greek, Islamic, and Latin. With the scientific riches it derived by translation from Greco-Islamic sources in the twelfth and thirteenth centuries, the Christian Latin civilization of Western Europe began the last leg of the intellectual journey that culminated in a scientific revolution that transformed the world. The factors that produced this unique achievement are found in the way Christianity developed in the West, and in the invention of the university in 1200. 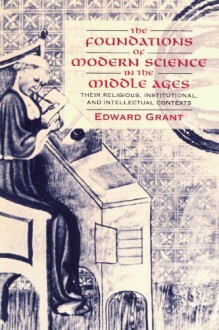 A reference for historians of science or those interested in medieval history, this volume illustrates the developments and discoveries that culminated in the Scientific Revolution.